Collins Booksellers - A Prescription for Alcoholics - Medications for Alcoholism by Linda Burlison, 9780997107616. Buy this book online. Never heard of medication for alcoholism? You're not alone. Eighty-eight thousand Americans will die this year from alcoholism. Most will do so without ever knowing of the FDA-approved medications that might have saved their lives. 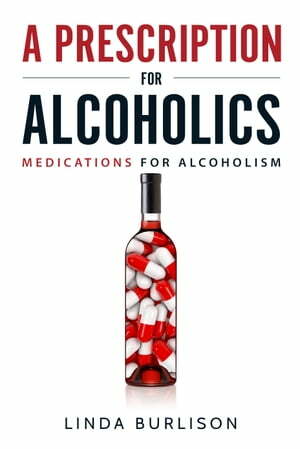 ‘A Prescription for Alcoholics – Medications for Alcoholism’ by author Linda Burlison, is the first book ever published about FDA-approved medications to treat alcoholism. Instead of medical treatment, the vast majority of doctors send treatment-seeking alcoholics to Alcoholics Anonymous-based 12-step programs which result in a dismal failure rate estimated at 90 percent. The 550-page book is an extensive look at drugs like naltrexone, acamprosate, baclofen, topiramate, gabapentin, nalmefene and others. Dr. Nora Volkow, the Director of the US National Institute on Drugs, and Dr. George Koob, Director of the US National Institute on Drug Abuse are spearheading a new understanding of alcoholism as a complex brain disease, and the medication that can treat it. Drs. Volkow and Koob are just two of thousands of researchers whose clinical research into medication for alcoholism forms the body of evidence the book cites. Written in plain English, the book highlights hundreds of studies conducted over many decades into medication that can reduce cravings, help manage alcohol consumption and help troubled drinkers abstain from drinking completely.